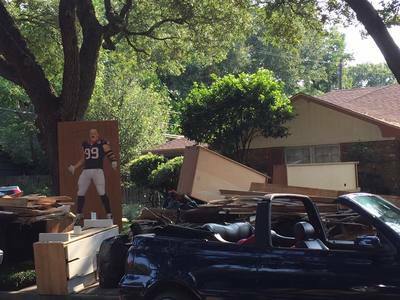 A large painted sign featuring Houston Texans player JJ Watt rests against a tree in a yard covered with the contents of a flooded house. The image suggests to me strength and defiance. 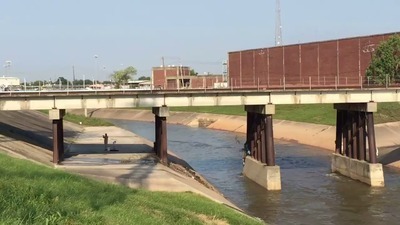 A man plays flute under a railroad bridge a few days after Harvey. 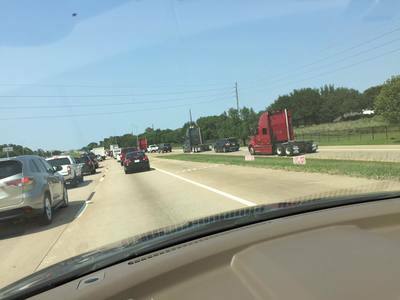 The amount of water in the bayou remains high. 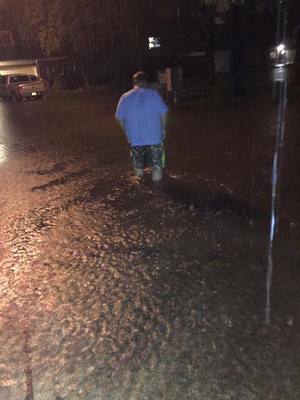 Some friends whose house in southwest Houston was badly flooded sent their family photo albums home with us. 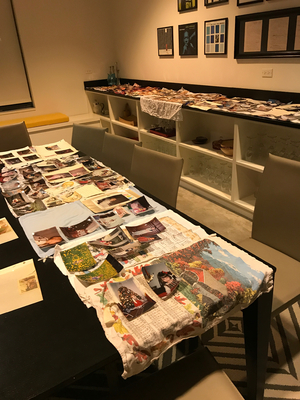 We laid them out on a table at Rice University so that the damaged photos could dry. 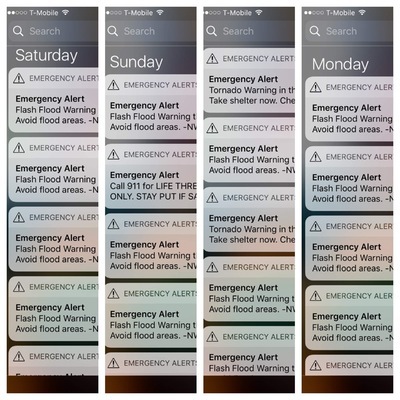 The emergency alerts felt constant throughout the weekend. Here are screenshots from my iPhone. 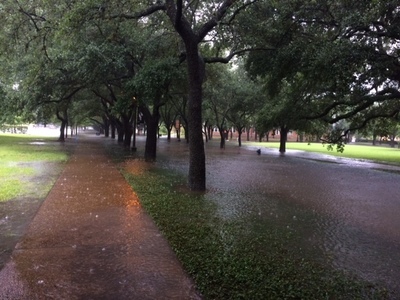 Taken during Hurricane Harvey as water pools on the streets at Rice University. 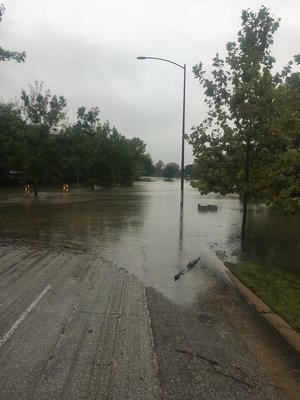 On Monday, we drove over to the Buffalo Bayou Park area, but there was still several feet of water over Allen Parkway. This photo was taken as we walked around to see what we could of the park. 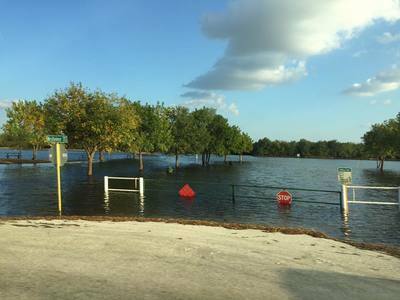 The park was still completely flooded at that time. 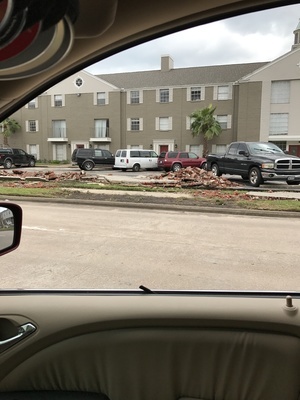 A brick wall outside the Meyergrove Apartments near Brays Bayou and 610 was washed away by the storm.